Motor oil and lube changes are very important to keeping your car or truck engine functioning properly. Motor oil keeps your engine lubricated so there is not any excess friction or wear on moving parts. Oil cools down your engine, fights rust and corrosion, reduces engine noise, and works with the oil filter to remove contaminants from the engine. Oil is very important to your engine for helping it operate at optimum performance levels. When you drive your car, your engine becomes very hot, and heat makes oil break down. Broken down oil doesn’t move through your engine as well, which means the oil cannot do its job. Oil also cleans your engine as it flows around it. Dirty oil moves slower than clean oil and is not able to lubricate your engine correctly. In addition, the gritty particles in dirty oil can hinder its friction reduction abilities and increase wear on moving parts. That is why having regular scheduled oil changes at Star Pre-Owned Superstore is a great option to extend the life of your vehicle. WHY SHOULD YOU HAVE LUBE AND OIL CHANGE SERVICES PERFORMED AT Star Pre-Owned Superstore? Your engine needs motor oil to keep everything in proper working order, but old oil can break down, turn dirty, and harm your vehicle. During an oil change, our staff will change the oil filter, drain the dirty oil from your engine, and replace it with clean new oil to keep your engine running smoothly. During a lube and oil change, our service staff will lubricate the chassis and the internal framework that holds your car together. 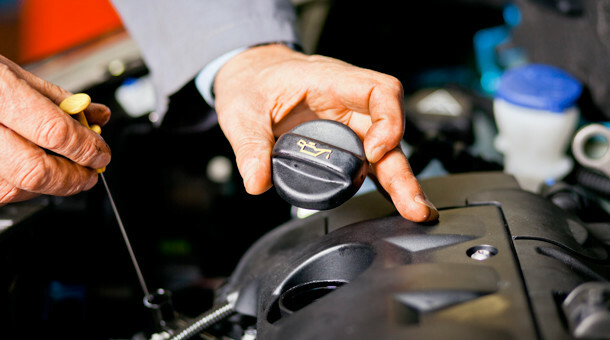 By the time our staff finishes with your lube and oil change, your engine should be running smoothly again. Changing your oil early and often will keep your engine running under optimal conditions. Contact us online or call our service department today at (877) 443-3420 to schedule your next oil change and lube service. Star Pre-Owned Superstore proudly serves the lube and oil change needs of customers in Easton, PA, Bethlehem, PA, Nazareth, PA, and surrounding areas.